Barbie doll’s cell phone is ringing! When girls raise the phone to the doll’s ear, Barbie doll answers. The new Barbie Chat Diva doll talks on her cell phone and lip-synchs and bobs her head to the music when you plug her into an MP3 player or CD player. 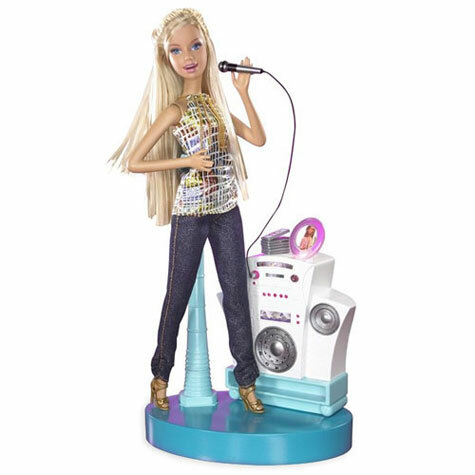 Chat Diva Barbie comes with three preprogrammed song clips and a doll sized microphone. This is more than a doll: it’s a cool electronic toy of the future. .